482 pages | 190 B/W Illus. A detailed account of the biology and ecology of vascular wetland plants and their applications in wetland plant science, Wetland Plants: Biology and Ecology presents a synthesis of wetland plant studies and reviews from biology, physiology, evolution, genetics, community and population ecology, environmental science, and engineering. 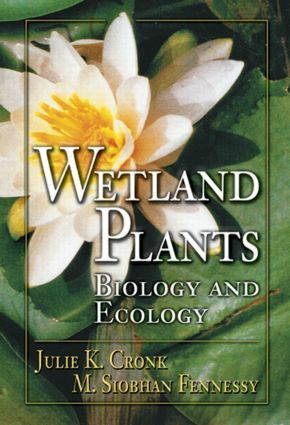 It provides a thorough discussion of the range of wetland plants adaptations to conditions such as life in water or saturated soils, high salt or high sulfur, as well as low light and low carbon dioxide levels. The authors include the latest research on the development of plant communities in newly restored or created wetlands and on the use of wetland plants as indicators of ecological integrity and of wetland boundaries. Over 140 figures, including over 70 original photographs, allow you to visualize the concepts, 40 tables give you easy access to definitions and data, and international examples provide you with a broad base of information. The growing consensus in wetlands literature and research suggests that methods are needed to assess the ecological health or integrity of wetlands, to set goals for wetland restoration, and to track the status and trends of wetlands. Wetland plants are emerging as important indicators, and becoming an important part of this research. Wetland Plants: Biology and Ecology contains up-to-date information on this increasingly important area in wetlands technology. "An admirable work on a broad subject, with enough depth to be useful to academics as well as practitioners. The extensive literature citations will help those who need greater detail. The writing style is lucid, and the many tables, illustrations, and black-and-white photographs are useful and well reproduced."